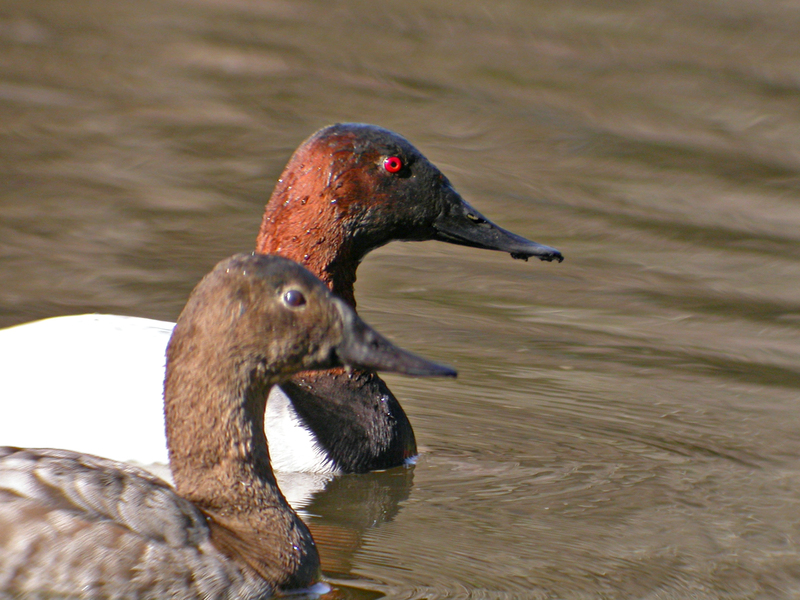 The male Canvasback has a bright red eye and bright chestnut color on the head and neck. Shown here with the softly colored female. They feed in the mud of the pond bottom, so often look a bit unkempt!